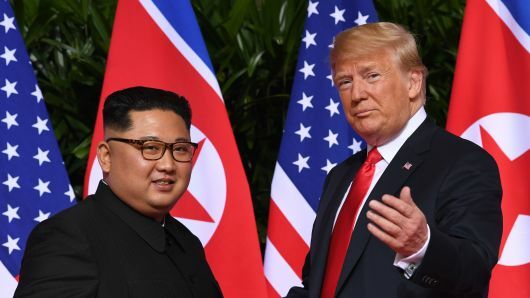 President Donald Trump has announced he will meet North Korean leader Kim Jong Un in Vietnam at the end of February as part of his administration's efforts to roll back the country's nuclear program. Addressing Congress during his second State of the Union, Trump said his relationship with North Korea's leader is "good" and progress has made in his administration's efforts to achieve peace on the Korean peninsula. Trump's second face-to-face meeting with Kim will take place on Feb. 27-28, though it is not clear where in Vietnam the summit will be held. Hanoi, the nation's capital, and Da Nang, a coastal resort town, have both been floated as possibilities.